I made a thing...StarTropics x Dungeons & Dragons! So, I have been super obsessed with Dungeons & Dragons lately and had a thought: What might some of the locations from StarTropics look like in a D&D setting? They'd be perfect!!! 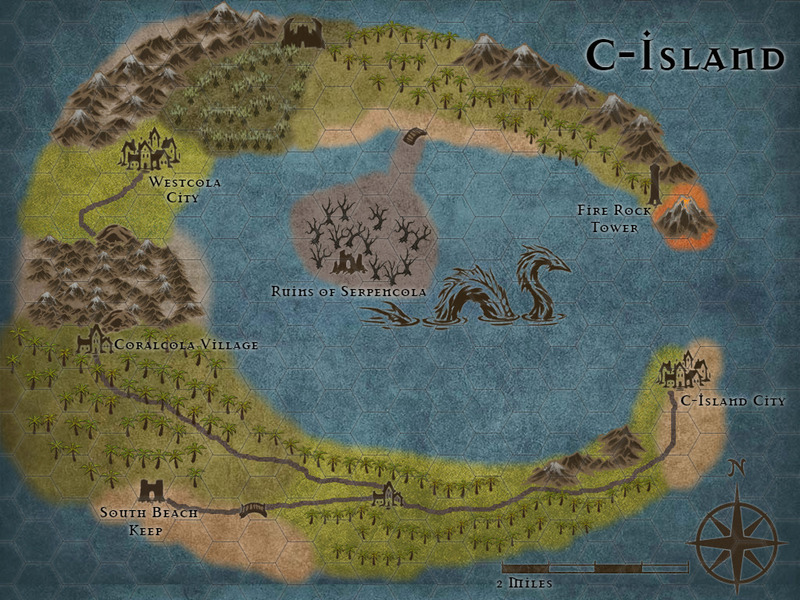 So naturally, I re-imagined C-Island as it may look in a D&D campaign. Feast your eyes! That's absolutely awesome Scotty! I've always wanted to try Dungeons and Dragons, although none of my friends were ever interested in getting invested in such a thing. It's really cool to see that StarTropics inspired a D&D map based on it though, maybe now I'll have to find some friends who would be willing to try it out. If not...you can always try www.meetup.com or the LFG tool on www.roll20.net!